This is it. The Honest Canuck is finally live! I’m very excited to start writing about the happenings in Canadian politics. As I’ve said in my bio (in the Who is The Honest Canuck page), I’m from Ontario and therefore most of my posts about provincial politics will be about Ontario. That doesn’t mean that I will shy away from what is happening in the other provinces. They might not be quite as insightful, seeing as I get updated more regularly on the politics in my own province, but I will try my best to get the facts and opinions I need to make an informed post. As you might have noticed, there are three posts already up and ready for you to read. I wrote those while I was getting ready to go live with The Honest Canuck, so some of them may be a little bit outdated. For example, one is about the Ontario Progressive Conservative Party’s leadership election, which ended two months ago. I just thought that since I wrote them, and I want to give readers as much as possible about my opinions and how I think things will play out, it would be important to include them on the website. There are more topics that I am going to post very soon that are much more relevant to the current political landscape. Ontario is ramping up for an election, and the provincial government recently released its budget. So there is plenty to write about just in this province. If there are any topics that readers would like me to explore, whether its provincial where you’re from or if you want a post about the federal government, there are a number of ways to reach The Honest Canuck. 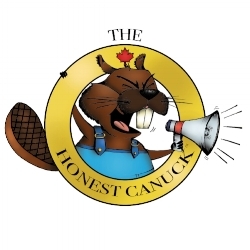 You can subscribe to the website, and get updated about new blogs, or you can follow my Twitter and Instagram accounts that I have set up, @thehonestcanuck. My personal accounts for Twitter and Instagram are both @Ian_Kitchener, and both of those will also be open for anyone to follow or contact me regarding The Honest Canuck. I’ve already explained myself in the Who is The Honest Canuck page, but I will give anyone a brief explanation to what this website will be about. I am a Conservative and Progressive Conservative supporter, so I will not exactly hold back my opinions on any given subject. But that being said, I will always try my best to make sure I look at political topics objectively. I will give facts that may not back my opinion up, and I will critique opinions and the stance of people, articles, or policy that I don’t agree with. If I’ve missed facts about any particular topic, again please feel free to comment on the post or contact me, and I will do my best to address that. Like on Instagram, favourite and retweet on Twitter, and give The Honest Canuck a follow on social media. More posts are on their way, and the more people engage the better. Some of the subjects that will be discussed are ones that some people would rather not be talked about at all. But silencing topics doesn’t make everything better. Open discussion, respectful debate, and free thinking are all important aspects of democracy. So tell your friends and share The Honest Canuck with people who you think will agree with what I have to say, or are willing to have their opinions questioned. I will never attack a person for their beliefs, but that does not mean I will not criticize opinions.